Christmas season means baking season is here and I’ve made it easy by rounding up 50+ must try Christmas Desserts. These desserts include bars, cakes, cheesecakes, cookies, cupcakes, fudge, and pies. 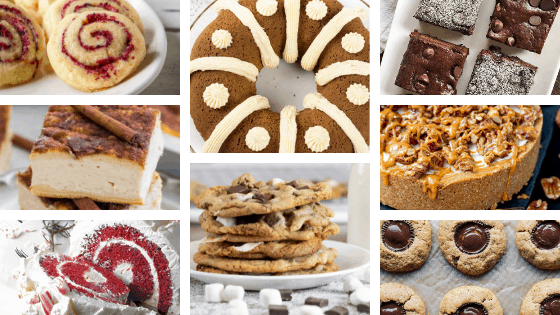 These delicious desserts are easy to make and perfect to make for gifts, parties, or for Christmas Feasts. thank you so much for including our Pumpkin Bundt Cake!! So many recipes to choose from; it’s hard to pick just one! Thank you for all the yummy recipes!